It took singer-songwriter Jessica Allossery walking away from music before coming back to fully realize how much it meant to her. Allossery started piano lessons at the age of 6 before giving up the instrument while in high school. After living in Brazil for a year after completing high school. Allossery returned to Canada to pursue film-making. While she was living on her own attending school, Allossery taught herself to play guitar. And the rest, as they say, is history. 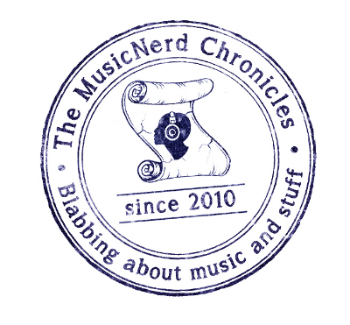 Jessica recently took the time to chat with The MusicNerd Chronicles with respect to making music as well as the effect that having a major Canadian telecommunications provider pick up her song for promotion. How vital has the song placement with Telus been to attracting people to your music? Allossery: Telus has certainly helped to promote my music and my image to so many Canadians. With this opportunity, I am now known as ‘the small town indie artist with the song on the Telus commercial’. It’s amazing, really. I have received quite a lot of support from them, not only with the music placement in the commercial, but also in terms of them supporting a cause that is dear to my heart, the Make Children Better Now Foundation, to whom they made a $10,000 donation. How did you come upon such an amazing opportunity? Allossery: Telus actually discovered my song from a Youtube video that was posted by a Spanish director. This director approached me to use my song “Change the World” for a beautiful idea that he had. This video called “Adeu Barcelona” gained over half a million views in one month, making it an international success. The two women from Telus saw the video, adored the song, and believed that it would be a perfect fit for their campaign. So they researched me, discovered that I am a small town indie artist and they also believed that I would be a perfect fit for their “We Give Where We Live” campaign. There was a time that many artists would see having their song used in a commercial as a form of selling out. But given the state of the music business today, it seems more vital than ever when it comes to getting word out about your music. Were you ever concerned about how you would be perceived by others because of the fact you had your music used in a commercial? Allossery: I was definitely VERY concerned at what people would think about me ‘selling out’ my music to a national telecommunications company. I was worried that I would get a bad reputation as an artist. But, as I met the Telus team and did some background research the corporation, I discovered how much they help out Canadian communities. In 2010, Telus was named the most Outstanding Philanthropic Corporation in Canada, an honour I feel was well deserved too, as they have proven time after time again, that they reach out and help when the time is most crucial. I also decided that, just as you mentioned, these days the music business relies heavily on revenue that is a result of advertising. People buy music these days but it is much more rare, making it much more difficult for artists to feed their passions and work through income based on their actual record sales.